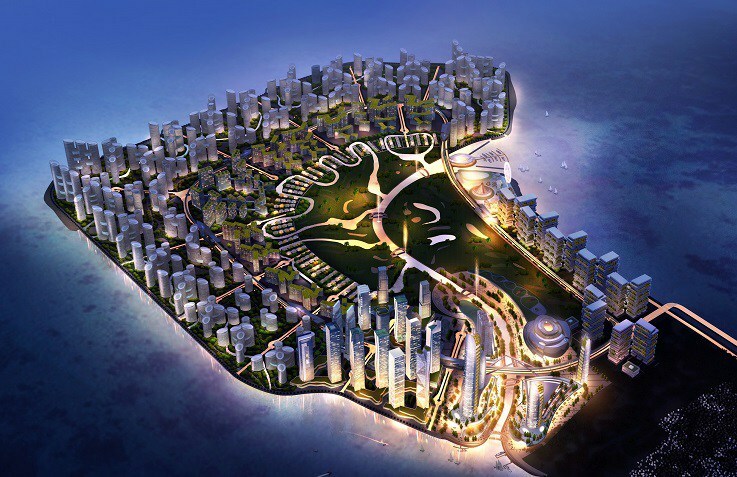 Details have been revealed of a futuristic ‘city within a city’ on a man-made island in the heart of Manila. 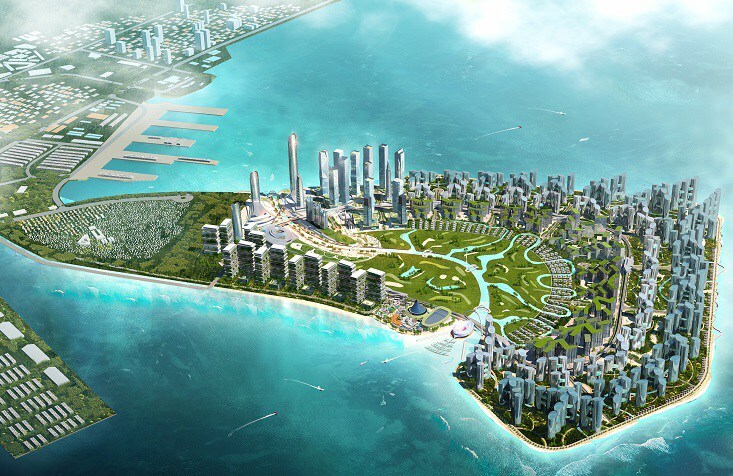 UAA Kinming, a consortium of Chinese and Filipino developers, say the so-called ‘New Manila Bay — City of Pearl’ will be a showcase of cutting edge technology including driverless trains and ‘smart’ buildings. The project was reportedly given the green light during President Duterte’s visit to China in October last year. A four-year land reclamation project is set to begin in August, with the first residential tower expected in seven years. 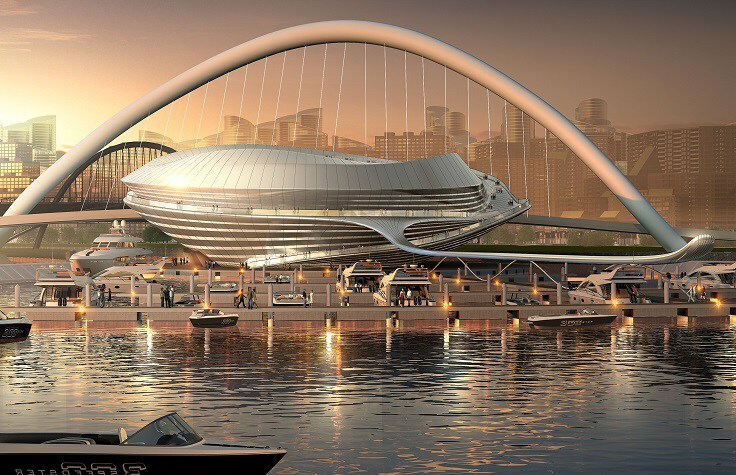 Nicholas Ho, deputy managing director of Hong Kong-based Ho & Partners Architects, the lead designer of the project, said: “None in Asia has this scale of development in such a prime location with such a visionary approach. The development has already been given “wholehearted” approval by ex-president and Manila Mayor Joseph Estrada. The development is said to be part of President Xi of China’s One Belt, One Road (OBOR) project, which seeks to create 21st Century ‘Silk Roads’ by land and sea. “This is the biggest OBOR project between China and the Philippines,” Mr Ho said. “It’s not just another typical development. It’s a government-to-government-level project. “This project got the blessing from President Xi Jinping and President Duterte last year in Beijing, and we got the go-ahead to proceed to planning. “The most inspiring fact for me as a masterplan designer is that the client wanted to create something that no one has done before. “The city is designed to become a self-sustaining smart community where the city itself is run by artificial intelligence. Everything we’ve done on this city is based on one central theme: the smart city concept. The city will be laid out in two rings and feature a loop road network, with up to 20 per cent of the area allotted to open spaces. The heart of the city will feature a park and championship-standard golf course, while the perimeter will include a 10km waterfront promenade and open spaces. Situated 20 minutes from the airport, the development is designed to limit car usage, with a driverless railway system and water taxis. There will also be a multi-use stadium, to be named the Pacman Stadium after Manny Pacquiao, and a riverfront shopping strip. No estimated cost for the project has been revealed.